#9. 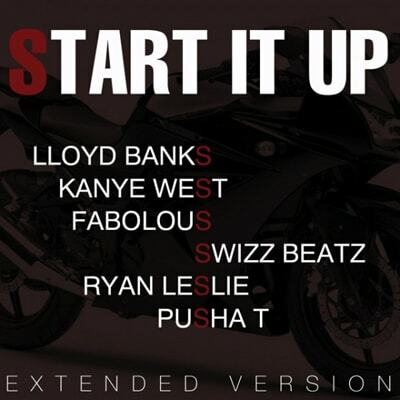 Lloyd Banks f/ Kanye West, Swizz Beatz, Fabolous, & Ryan Leslie "Start It Up"
In 2010, Lloyd Banks hit the reset button on a career that had once seen better days. The perfect follow up to the immensely popular "Beamer, Benz, or Bentley," “Start It Up” has Banks showcasing a flow more polished than ever. Meanwhile, Fabolous adds yet another verse to his endless list of memorable cameos and Swizz keeps everyone hyped. However, neither one of them stood a chance against Kanye, who let off with his best guest appearance of 2010.